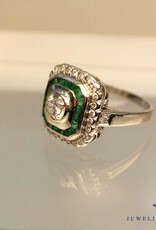 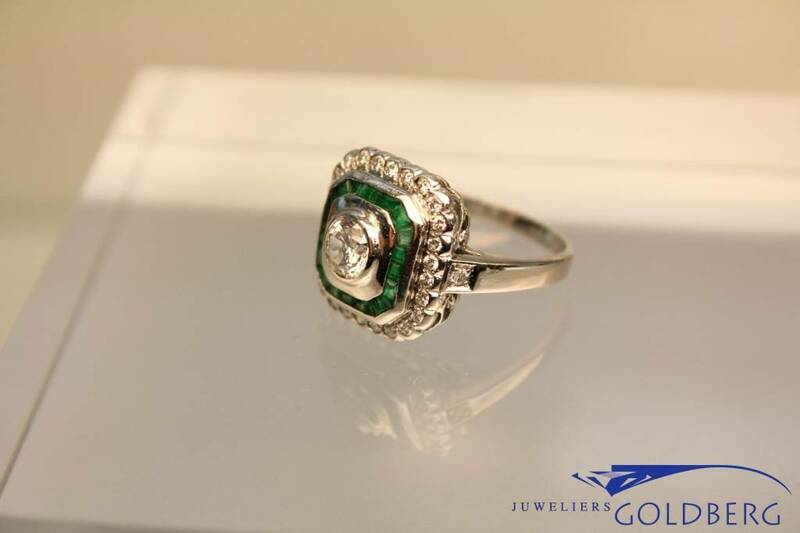 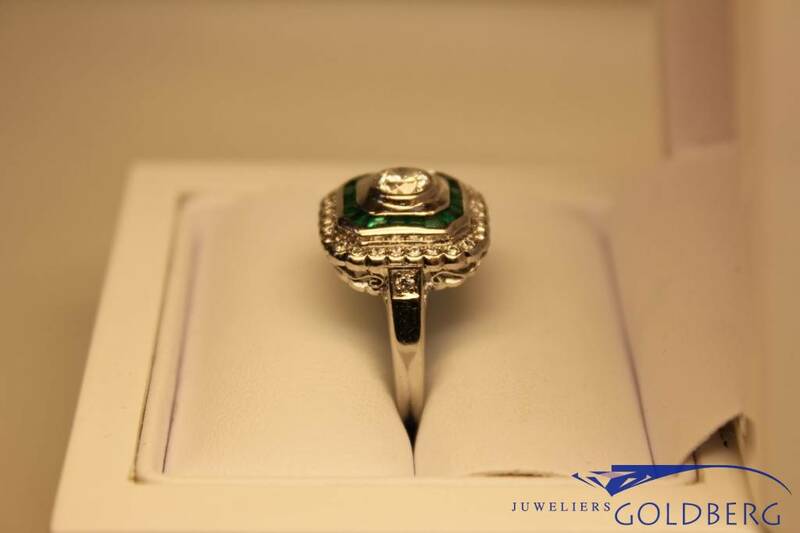 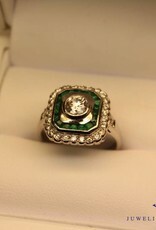 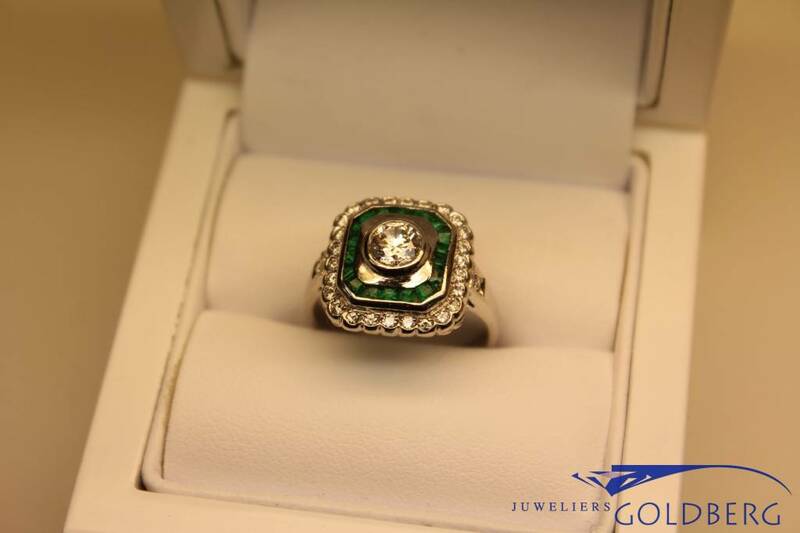 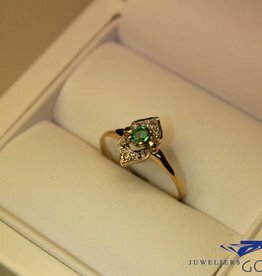 Very beautiful and unique white gold ring with in the middle a 0.65ct brilliant cut diamond (P1, TW), surrounded by 18 small emeralds in turn surrounded by 28 0.015ct brilliant cut diamonds. 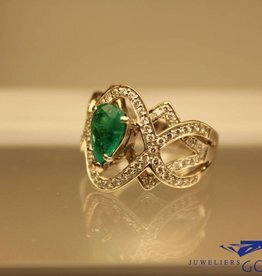 A very special and "living" piece of art. 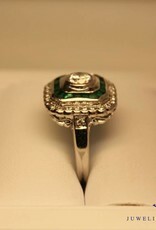 1x 0.65ct brilliant cut diamonds (clarity Pique1 and color Top Wesselton), and 28x 0.015ct b.c.d.